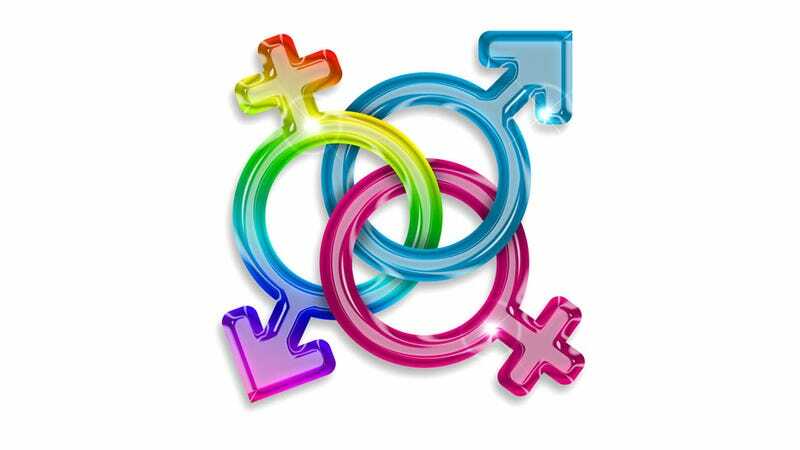 A new study reveals that 15% of people don't think that bisexuality is a real sexual orientation. That number seems surprisingly low, considering how liberally the phrase is applied to drunk chicks having fun or a stop on the all-male bus to Gay Town. Researchers, who presented their findings at the American Public Health Association's 141st Meeting and Exposition, also found that the overall opinion toward bisexuality was negative—even among gay people. They discovered that men who identified as heterosexual were three times more likely to consider bisexuality "not a legitimate sexual orientation." Women, white people and people who said they were a member of the lesbian, gay or bisexual community were less likely to have negative attitudes towards bisexual people. However, even within the LGBT community, those who were gay or lesbian were more likely to be biased or prejudiced towards bisexual people than those who identified as bisexual. College-aged people described bisexuals as "confused," "different," and "experimental," which makes sense, since that tends to be a time in people's lives when they are experimenting. The report stressed, however, that stigmas against bisexuality could have negative affects on the mental and physical health of bisexual people.